The MCC Library supports teaching and learning and helps students succeed in college, careers, and life. How we fulfill our vision: MCC Library provides welcoming workspaces, resources and technology to support teaching, learning and love of reading. Our expert instruction strengthens research skills that are useful for students in their scholarly and professional work and their lives. MCC students carry computers in their pockets. As of July 2018, 22% of users and 13% of sessions on the MCC Library website are from mobile devices, predominantly phones. 90% of MCC Library resources are electronic. Our print collection is small by comparison. We have about 15,000 books but around 220,000 ebooks! MCC Librarians teach. We create resources and prepare lessons about information literacy, one of MCC's core learning outcomes. The MCC Library is the largest campus employer of work-study students. They help us keep a services desk open 60+ hours per week. •Students benefit from library instruction in their initial coursework. •Library use increases student success. •Collaborative academic programs and services involving the library enhance student learning. •Information literacy instruction strengthens general education outcomes. 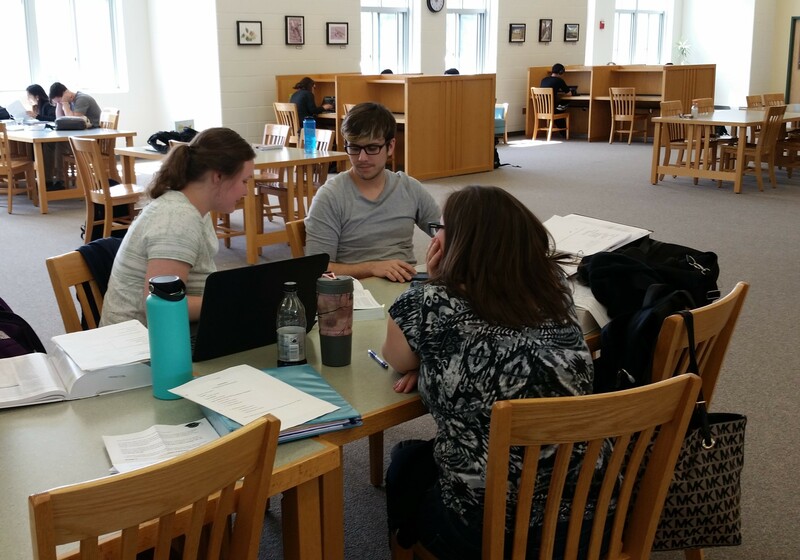 •Library research consultations boost student learning. Association of College and Research Libraries. Academic Library Impact on Student Learning and Success: Findings from Assessment in Action Team Projects. Prepared by Karen Brown with contributions by Kara J. Malenfant. Chicago: Association of College and Research Libraries, 2017. Published online at www.acrl.ala.org/value. In 2017, a Community College Libraries and Librarians and Student Success study came out, providing evidence that principles of "embedded" librarianship, where librarians and faculty closely collaborate, boosts student success. The resources and services in a common area promote an active and collaborative learning environment. Current students, faculty, and staff have access to the library space, print resources, and technology (computers, printers, copiers) during the library's operating hours. Electronic resources are available 24/7 via the Library's website. Alumni and community members have access to the library space, print resources, computers, and coin-operated photo copier. See the computer use policy for more information. To access online resources such as databases, articles, ejournals and eBooks, please see the Library's home page.